After playing Sundance, Cannes, Telluride and Toronto, the Argentinian film Wild Tales from producer Pedro Almodovar and director Damián Szifrón was nominated for Best Foreign Film at the 87th Academy Awards. Now the film is poised to hit the United States this month, at least in New York and Los Angeles, the same weekend of the Oscar ceremony, and the first trailer has arrived. Within the film are six short stories of revenge in various situations, from road rage to romance. This looks like a dark, twisted collection of tales full of suspense, comedy and drama, so it's not hard to see why it's an Oscar nominee. Inequality, injustice and the demands of the world we live in cause stress and depression for many people. Some of them, however, explode. This is a movie about those people. 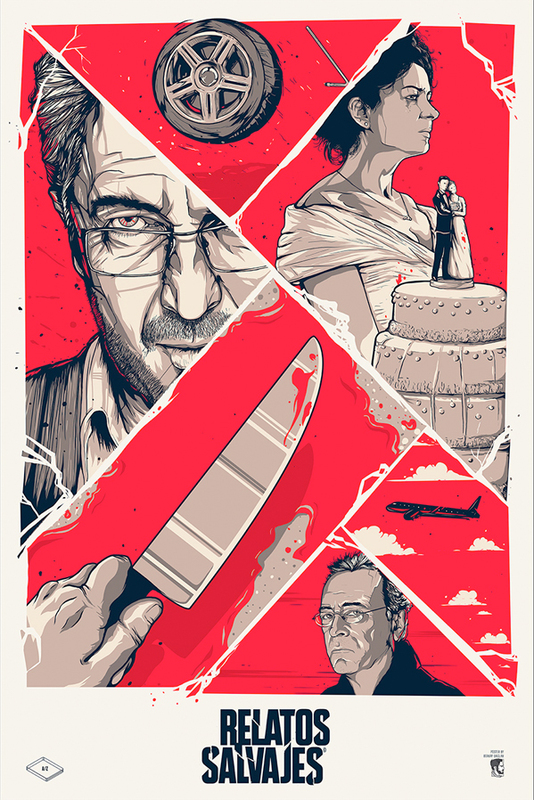 Vulnerable in the face of a reality that shifts and suddenly turns unpredictable, the characters of Wild Tales cross the thin line that divides civilization and barbarism. A lover’s betrayal, a return to the repressed past and the violence woven into everyday encounters drive the characters to madness as they cede to the undeniable pleasure of losing control. Wild Tales is written and directed by Damián Szifrón and hits NY and LA on February 20th. Awesome trailer, amazing poster, all for it!!! Another example of why the Oscars don't matter to most of us... Nominated films that the vast majority of movie goers won't be able to see until well after the Oscars. one of the best movies i've ever seen!